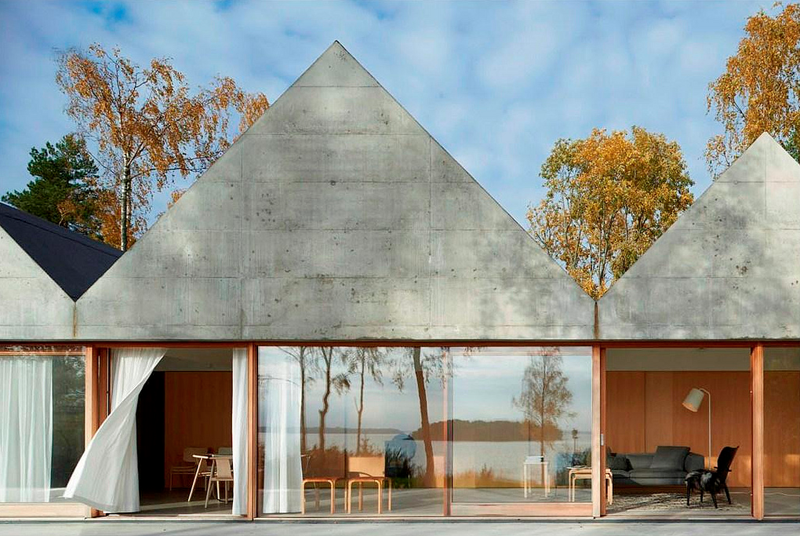 Swedish architects Bolle Tham and Martin Videgård designed this summer house in the town of Lagnö, part of the Stockholm archipelago. What sets this house apart from the more classic rustic timber cabins found in the landscape, is its pleated façade made up of a series of concrete gable roofs. 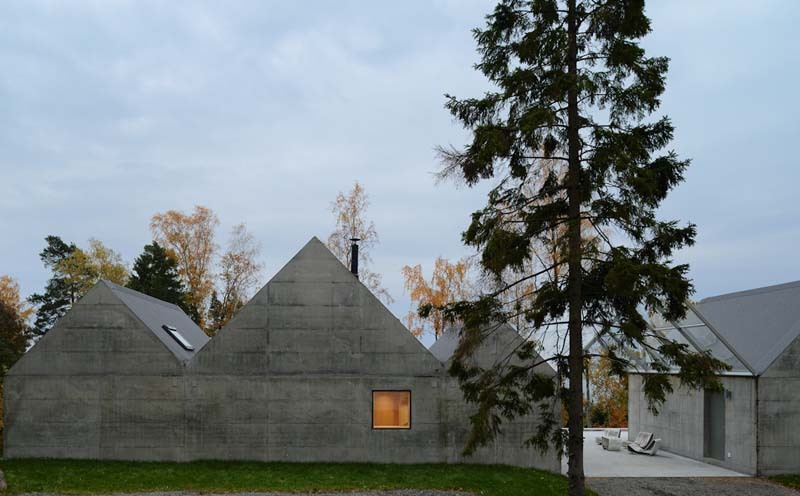 The exposed concrete and its angular shape, was a deliberate choice by the architects to connect the house to its environment, specifically the archipelago’s granite bedrock. The pitched ceilings make for dramatic interior heights and room shapes, while the large expanses of glass offer spectacular views of the forest and bay. I really like the way the house sort of compliments the landscape, how it reminds of the silhouette of the mountains. And even though the exterior surface is all concrete the design still got that light and breezy and functional feeling so typical of Scandinavian architecture. Very nice indeed.